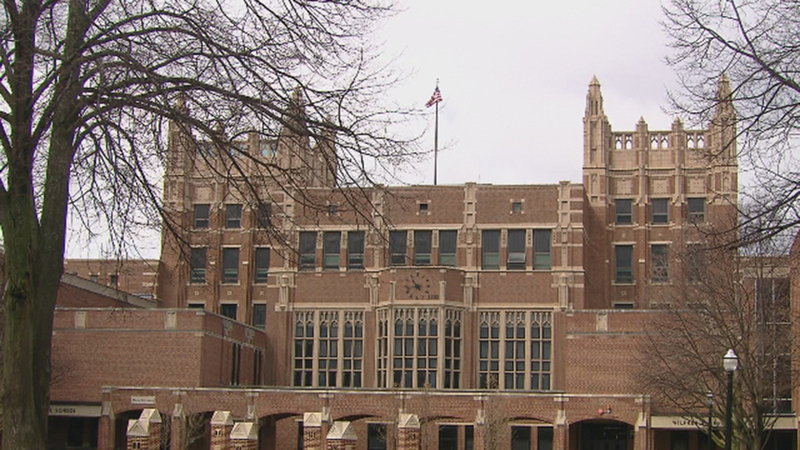 Evanston Township High School district officials have reached a settlement agreement with four former students who claimed they were sexually abused decades ago by an ex-drama teacher. ETHS District 202 Superintendent Eric Witherspoon on Friday announced the agreement which will see the school district pay out $100,000 over the next decade. The settlement comes more than a year after a group of former students filed lawsuits against ETHS, the Evanston Board of Education and former teacher Bruce Siewerth. Siewerth, a well-known drama teacher at the high school, has been accused by several former students of inappropriate conduct and sexual abuse following a #MeToo post by ETHS grad Jeff Lieber in October 2017. “While the School District maintains that it did not have knowledge of any of the allegations made against Mr. Siewerth, since the filing of the lawsuits the School District has sought to work with plaintiffs, through their attorneys, to resolve these matters and avoid costly and drawn out litigation,” Witherspoon said in a statement. Three former students sued Siewerth and the school district in 2017, claiming ETHS and school board officials either knew or should have known about the abuse allegations, and did nothing to stop them. The school district says it also became aware of a fourth student who had made similar allegations, but had not yet filed suit. Those former students, who filed suits anonymously as John Does, alleged Siewerth’s abuse was an “open secret” within the school and drama communities. Evanston police last year said they investigated at least 35 separate incidents involving Siewerth. But criminal charges have never been filed against him, as the statute of limitations on the alleged crimes expired before they could be prosecuted. “The School District reemphasizes its empathy for any individuals that may have been victimized,” Witherspoon said, “and is grateful a resolution could be reached that benefits ETHS students and the greater Evanston school community. Siewerth retired from the high school in the 1990s. After the district announced the settlement Friday, Lieber published a social media post crediting the “courage” of the anonymous students and their lawyers.